In 1887, a Denver woman, a priest, two ministers and a rabbi recognized the need for cooperative action to address their city’s welfare problems. They put their heads together to plan the first united campaign for ten health and welfare agencies. They created an organization to serve as an agent to collect funds for local charities, as well as to coordinate relief services, counsel and refer clients to cooperating agencies, and make emergency assistance grants in cases which could not be referred. That year, Denver raised $21,700 and created a movement that would spread throughout the country to become the United Way. More than 125 years later, United Way is still focused on mobilizing the caring power of communities and making a difference in people’s lives. 1887: In Denver, religious leaders founded the Charity Organizations Society, the first "United Way" organization. 1958: The Ben Franklin United Crusade in the Tri-Cities was started with a $7,000 loan from the Richland Community Chest. The Community Chest graciously did this in agreement to be replaced by the United Crusade. 1973: The name changed to United Way of Benton & Franklin Counties. 1992: A new building was built for United Way of Benton & Franklin Counties entirely by community volunteers. 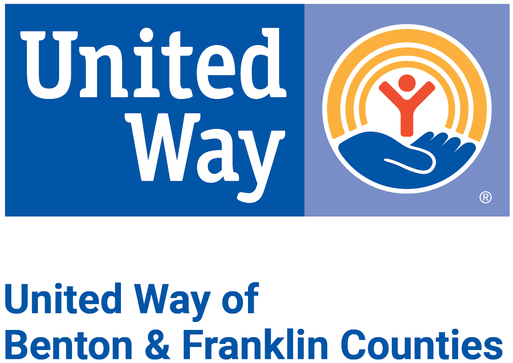 2004: A community needs assesment conducted by WSU Tri-Cities for United Way of Benton & Franklin Counties revealed that Benton and Franklin Counteis needed better lineages and coordination among local health and human service providers. 2006: Over 200 community leaders gathered for The Community Leaders Summit at which time the foundation for Community Solutions was established. 2007: The first cut of the Community Solutions Plan was developed with the purpose of improving community conditions and people's lives. 2009: United Way of Benton & Franklin Counties' first community-wide initiative, Our Babies Can't Wait, was launched to help parents, caregivers, and the community build a strong foundation for our children so they will be successful in school and life. 2011: United Way of Benton & Franklin Counties' second community-wide initiative, Prepared By 20, was launched to focus on helping our youth, ages 10-20, grow into successful adults. 2013: United Way of Benton & Franklin Counties' third community-wide initiative, Attendance Matters, was launched to raise awareness and create action to increase school attendance throughout our community. 2016: United Way of Benton & Franklin Counties' Our Babies Can't Wait initiative was replaced with the Birth 2 Five program, which supports the early learning community's efforts to prepare children for kindergarten and life.